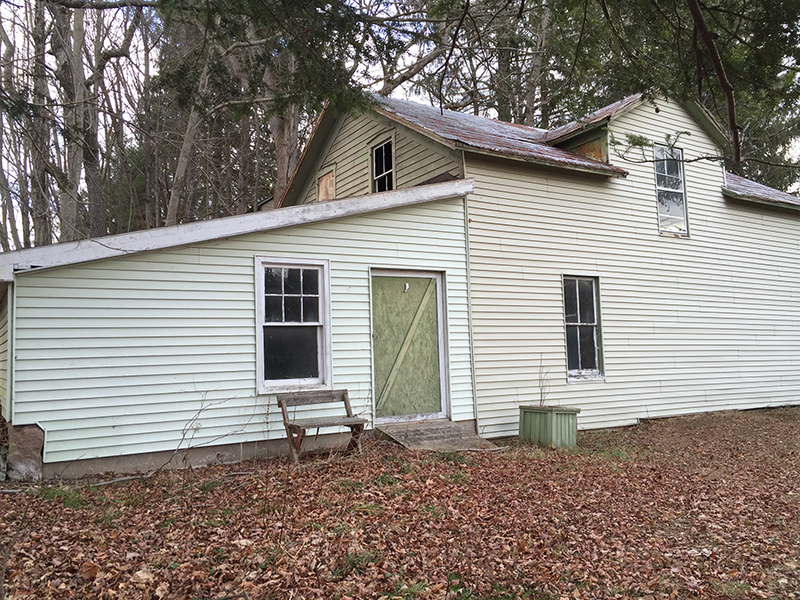 Erie Ave (SOLD): Gutted Farmhouse in prime Narrowsburg location. $150,000. 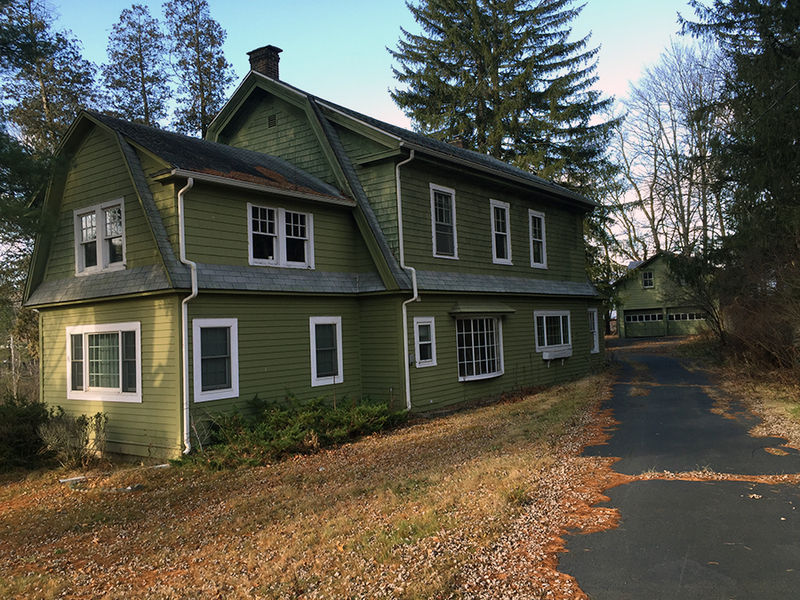 — Country House Realty: Fine Catskills and Upstate New York real estate, including Sullivan Co. and Ulster Co.
At the turn of the century, this grand farmhouse was home to one of Narrowsburg's founding families. Just off of Main St. in a fast-growing but forever quaint river hamlet, zoning on this block was recently changed to commercial / residential, giving this house a unique value proposition. 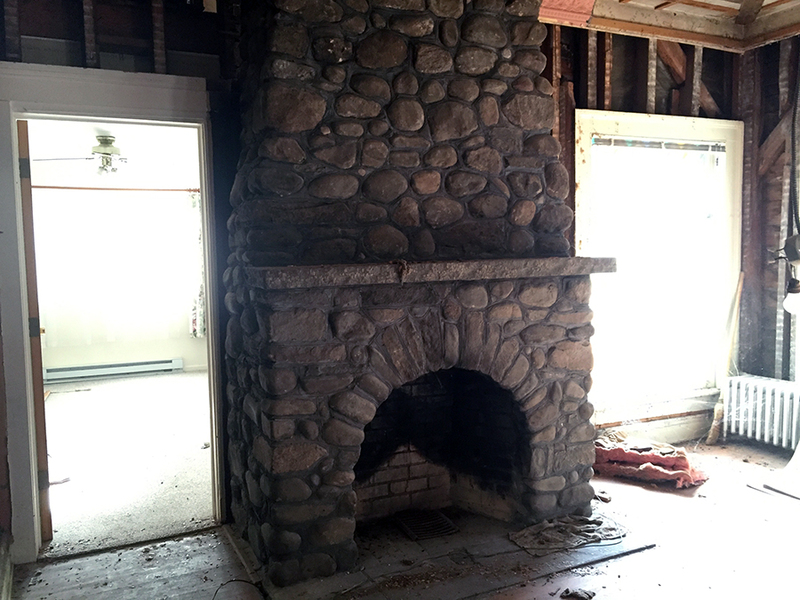 Currently gutted to the stud, the owner's recent demo revealed a fantastic river rock fireplace, wide-plank hardwood floors, and over 2,300 square feet of endless design possibilities. All rooms, save one carpeted bedroom, have been fully demoed, and the attic was opened up on the top floor. The layout will easily accommodate 4 bedrooms and 3 or more bathrooms, plus there is a detached garage with parking for two cars, and two separate spaces that could be easily converted into guest rooms. Bring your architect! This rare and special beauty would make for a dreamy single family home, or an adorable Country Inn. Narrowsburg is one of the county’s premier destinations – a charming country village with fantastic shopping and restaurants where you can view eagles and other birds soaring and diving into the Delaware’s Big Eddy.